If you love architecture, Greece is a great choice for a visit. With stellar examples of classical, Minoan, Ottoman, Byzantine and modern architectural styles, you will find plenty of gems spread across the country. 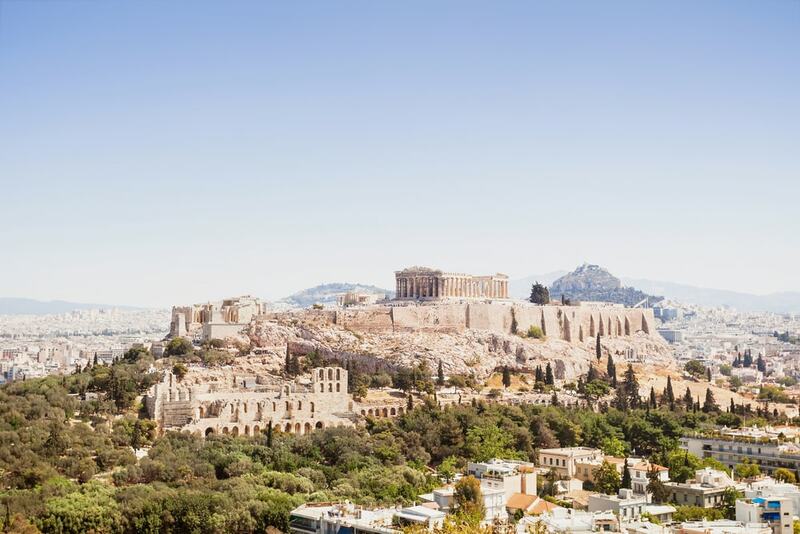 From mansions to museums, ancient temples and palaces, here are some fantastic architectural wonders in Greece. Without any doubt, one of the most striking constructions of ancient times, the Parthenon, located on the hill of the Acropolis of Athens, was built around 438 BC. Dedicated to goddess Athena, the building has had a few different uses, including a fortress, a mosque and a Christian church. While a good section of the structure still stands today, the Parthenon is definitely an impressive building considering all stones used to build it were put in place by hand. The Achilleion (or Achillion) Palace, is located in the village of Gastouri, on the island of Corfu. Constructed in 1890, this magnificent palace was built for Austrian empress Elisabeth of Bavaria, also known as Sissi. Designed with the mythical hero Achilles in mind, the summer palace was meant to represent an ancient palace of Phaeacia, also known as Scheria. 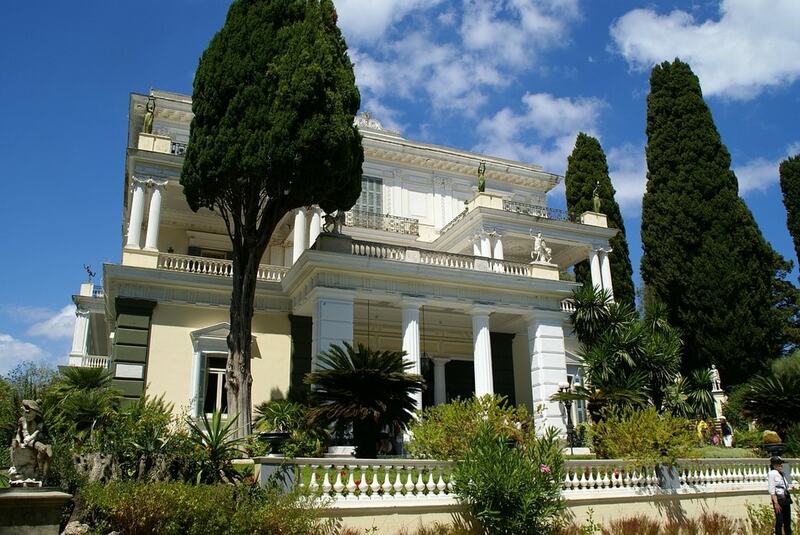 The palace is filled with paintings and statues of Achilles, and from the gardens, visitors can enjoy fantastic views over Corfu Town and the sea. The Acropolis Museum, which primarily housed artefacts from the ancient site. Built by Swiss-French architect Bernard Tschumi, the museum is a remarkable example of modern architecture, where light plays a central role. 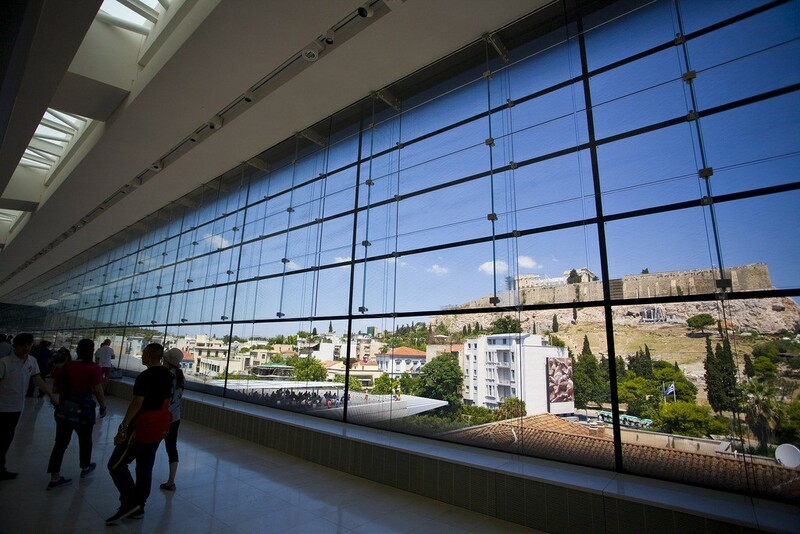 Even before stepping inside the museum, visitors can peer into the old city of Athens at their feet thanks to a glass floor that shows the ruins. But the most impressive is inside, where artefacts are perfectly placed to recreate the sense of awe and wonder one might have felt while entering the sacred site. The Parthenon gallery, located on the third floor, has been rotated 23 degrees to align perfectly with the Parthenon. 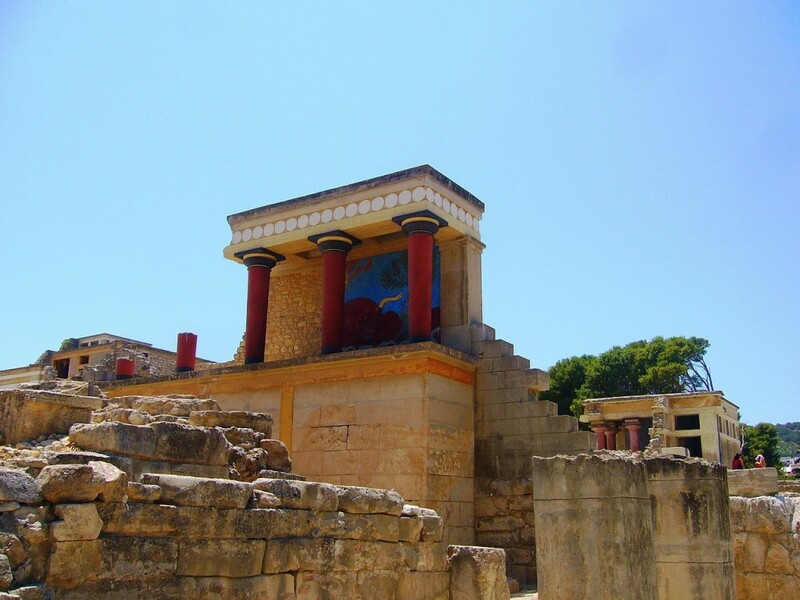 Surrounded by many myths and legends, Knossos, the center of the Minoan civilization, is located on the beautiful island of Crete. The archaeological site, one of the largest in Europe, dates from the early Neolithic period but today, it is mostly the ruins of the palace that attracts thousands of visitors. The seat of King Minos, the palace has numerous rooms and circuitous corridors, which may have given rise to the myth of the Minotaur. Inside, visitors can admire stunning mosaics and colorful frescoes. Fair warning, you may never want to leave the site as it is captivating. The Basilica of Agios Andreas (Saint Andrews) is a beautiful church built in the Byzantine style in the early 20th-century. 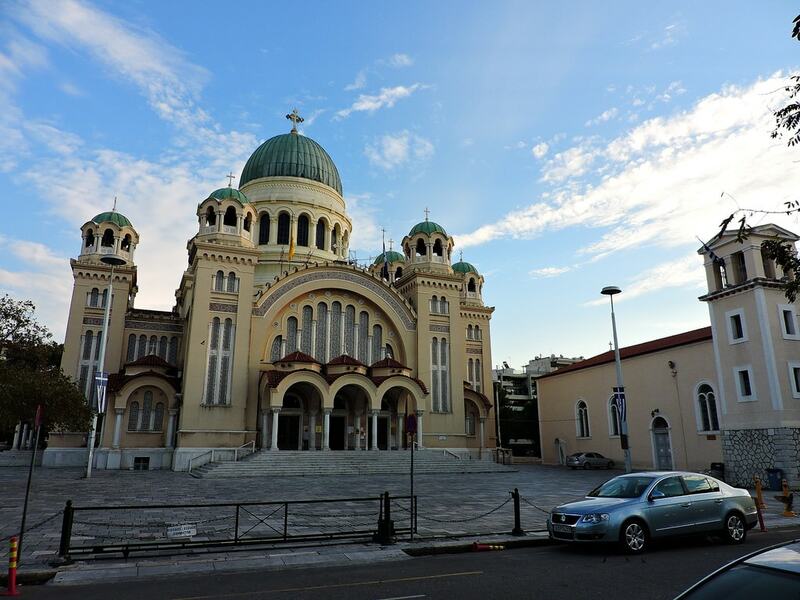 The largest church in Greece, it includes a spectacular dome, topped with a large cross. The interior of the church is decorated with splendid paintings and icons and contains the relics of the apostle Saint Andrew, who is thought to have been killed by crucifixion in Patras. Syros, the capital of the Cyclades, may not be a top destination in the Cyclades due to the popularity of its neighbors but it is nonetheless a fantastic option if you plan on visiting the area. You will be amazed by Ermoupoli, the capital of the island and its neoclassical mansions and buildings but most particularly by its town hall. Located on Miaouli square, it is a beautiful neoclassical building constructed by Ernst Ziller, a Bavarian architect brought to Greece by King Otto in the 19th-century. 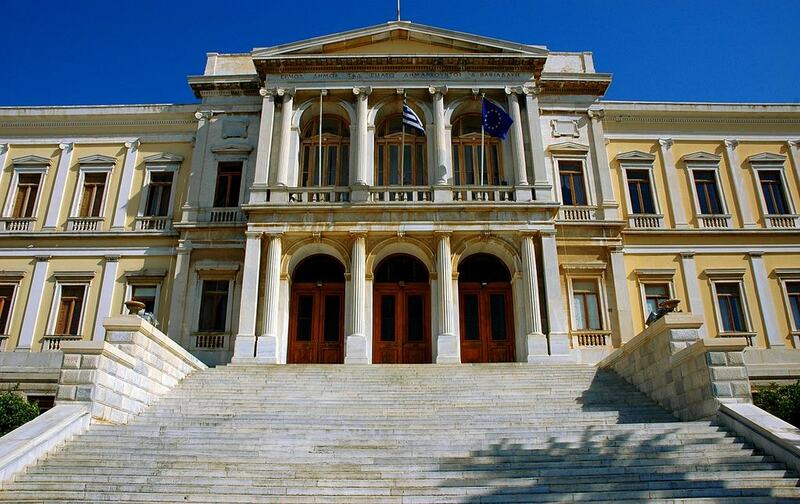 Home to the Archaeological Museum of Syros and several public services such as the Court of Law or the Land Registry, it is certainly one of the prettiest town halls in the country. 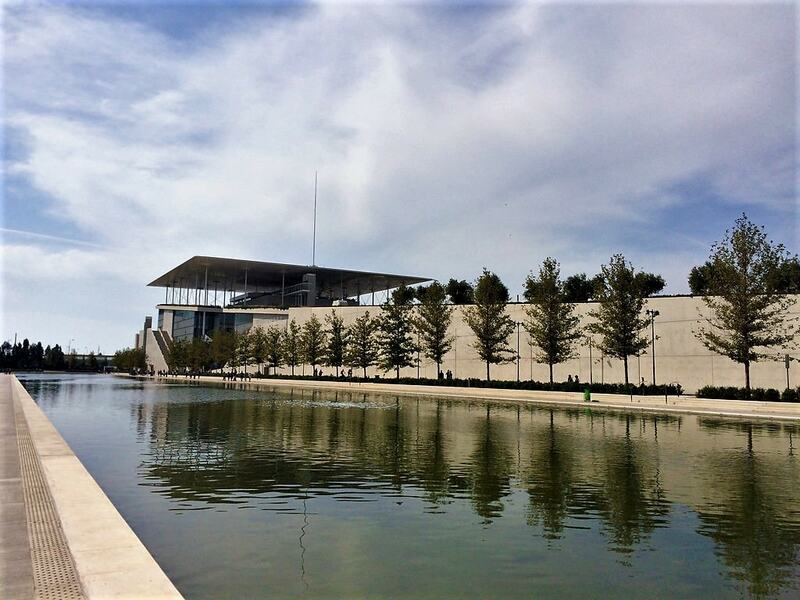 With the desire to become a modern-day agora, the Stavros Niarchos Foundation Cultural Center (SNFCC) is the new home of the National Opera and the National Library, located in the residential area of Kallithea along the waterfront. Built by Italian architect Renzo Piano, to whom we owe the Shard in London and the Living Roof in California, the SNFCC is a spectacular feat of modern architecture, which includes sports facilities, a park and an artificial canal. Built in 1907-1909, Villa Petridis is a beautiful mansion of the eclectic style, which includes stunning art nouveau elements as well as relief ornaments. One of the few buildings to be spared by the Great Fire of 1917, the villa was acquired by the Petridis family in 1927. It was expropriated in the 1990s and abandoned. However, it was renovated by the municipality of Thessaloniki in the last decade with great attention to detail. Today, the villa opens its doors to the public for special occasions, such as the Open House events.